The index opened strong and stayed strong with a small dip towards 8158 being bought with ease to close above 8200 at 8204.00, gain of 76.15 points. The broader market was strong with 1176 advances to 396 declines. Expiry week range is at 8000-8300. 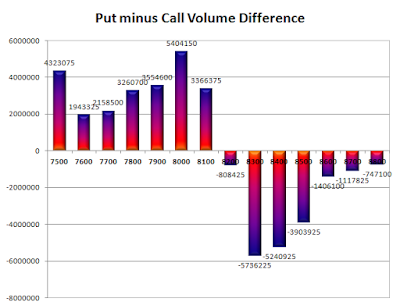 Call option 8300 added 9.65 lacs OI with short covering at 8200 and below strike prices. 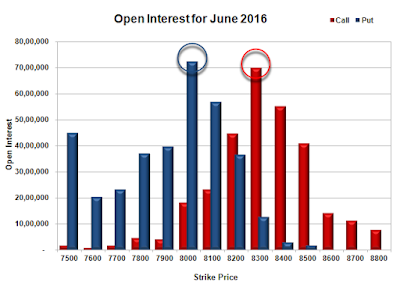 Put option 8300-8000 added 27.24 lacs OI with profit booking at 7900 and lower strike prices. Nifty Open Interest is at 81,96,750 down by 25,58,250, whereas next series added 32.06 lacs with increase in price, probably 100% rollover with huge long build-up. Bank Nifty Open Interest is at 10,34,670 down by 2,56,500, whereas next series added 3.43 lacs with increase in price, probably rollover with huge long build-up. FII’s bought 11185 contracts of Index Futures, which includes net 12818 contracts long build-up and 1633 contracts short build-up, with increase in net OI by 14451 contracts, includes 79174 longs to 67989 shorts for the day. 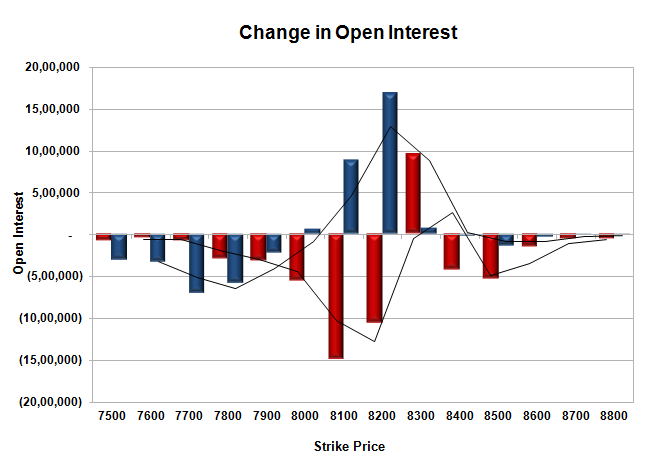 FII’s Index future open contract as on date is 174007 Longs to 91829 Shorts, Net long 82178 contracts. 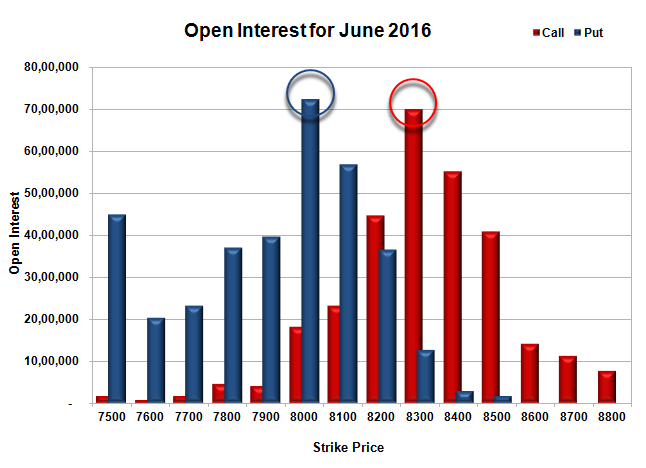 Initial support at 8200, with huge OI addition of 16.94 lacs and below that at 8100 with OI of 56.84 lacs. Initial and best resistance at 8300, with OI of 70.00 lacs and above that at 8400 with OI of 55.29 lacs. Day Range as per Option Table is 8118 - 8273 and as per VIX is 8135 - 8273 with 8191 as the Pivot.